Text Editor and Sprite Editor are best part of MK64. These key checkpoints Drew Weatherton are talking about is something cool. The speedrunners of MK64 try to find it all the time. I talked a bit to Shygoo, it sounds like he might have an idea about those checkpoints. When he was looking through the course data, he was rendering some kind of data he called Path_U, but it's possible that this data is the checkpoint information. I won't be getting around to playing with this data until probably mid August to September unfortunately, but I'm looking forward to it. That looks really great, inb4 tt64 for mk64. this program is simply fantastic! here is some sneek peek of what me and my friend have done so far with it. that dream is adding in my own characters into mario kart 64. New version is up, updated the main post. 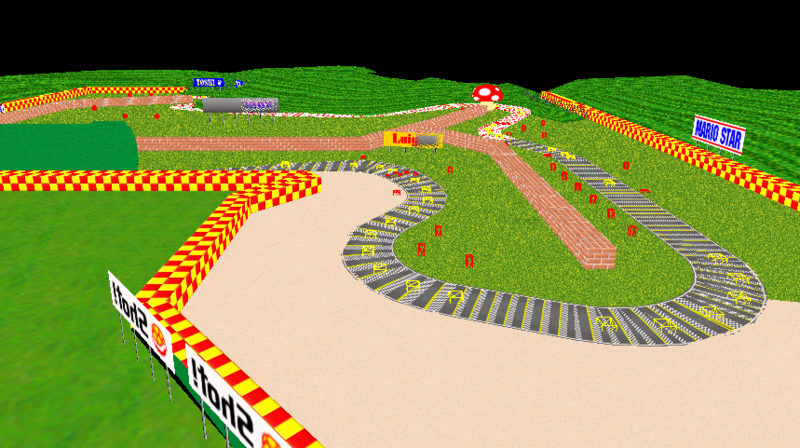 The new version has included Kart Portraits and Nameplates in the Kart Editor, and I've brought in a very buggy version of the Course Viewer. Things have been a bit rushed, but oh well. As you can see, after the first course is loaded it doesn't load the next one correctly. 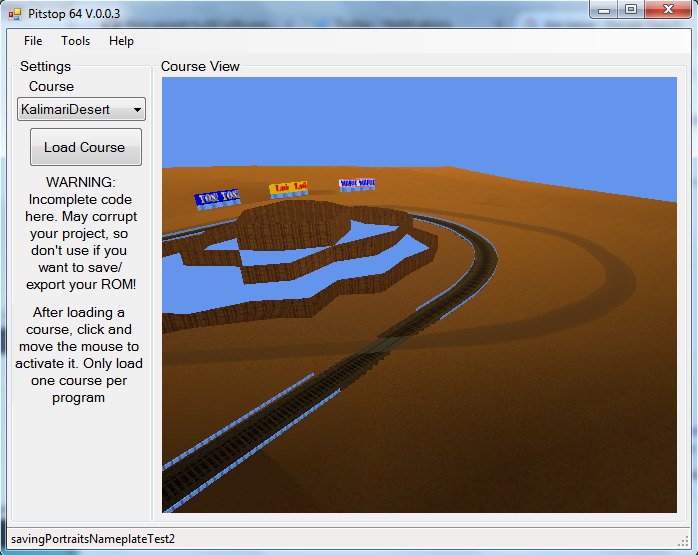 It accidentally uses vertices from the first course when looking at the next course, so everything gets really screwed after loading the first level. If people throw enough of a fit about it I can probably get a 0.0.3.1 version that'll have that fixed, but I'd prefer to focus on finishing the Kart Editor before working on other things. First up, sorry about the 2 month delay. I fell out of motivation, work piled up, and basically lost interest in doing any hobbywork. I'm still kinda in the rut, but I'm working my way out. I've finally found romhacking to be fun again, so I'm getting back to work on the Chomp Shop program. I probably won't be making any ambitious schedules again, but I am working steadily at this, so yeah. Again, sorry for the dev blackout, I hope to finish this Chomp Shop stuff soon to get back to the level viewer/editor.